Flogging Molly will release an exclusive 7" vinyl single of "Drunken Lullabies" with a B-side of "A Prayer for Me in Silence". Ozzy Osbourne will release a 4400 press limited edition Randy Rhodes tribute polka dot vinyl of "Believer" and "Goodbye to Romance", both live. Pete Townshend will release a 10" vinyl pressing of Quadrophenia Demos Part 2. The Civil Wars will release a 7" vinyl of their acclaimed cover of Michael Jackson's "Billie Jean", limited to 1000 presses. The Grateful Dead will release a 4200 press limited edition LP of Dark Star: Europe 72 Olympic Theater- Paris France 5/4/72 containing the previously unavailable longest version of "Dark Star". Bruce Springsteen will release a 7" 45 of "Rocky Ground" from his new album Wrecking Ball along with a B side of "The Promise" Live from the Carousel, Asbury Park. Kasabian will release their covers of Lana Del Rey's "Video Games" and Gwen Stefani's "Sweet Escape" on 7-inch vinyl. The Clash will release a newly digitally remastered version of "London Calling" on vinyl. The light-up sign in the window of Spillers Records, a suitcase-sized chock of blue and white acrylic, is off. The doors are locked. Outside, a man wearing a woolly hat and headphones checks the time: 20 past. He checks again. Still that. Spillers opens at 9.30am, and it may be to divert the over-eager morning customer that some window space has been turned into a small exhibit, celebrating the shop's rich history in Cardiff. There are record sleeves from its days as a "phono exchange", run by the Spiller family from 1894 to the 1940s. There are 7-inch single bags – relics, like the light-up sign, of the 1970s, when the shop was run by a local man called Nick Todd. A cardboard replica of Tom Jones invokes history more recent, the cut-out draped in branded Spillers T-shirts that were must-buys for loyal customers when the shop faced closure in 2010. It has been a difficult decade for record shops like this. Streaming, downloading, home shopping, pirating – the internet-inspired woes of the music industry have been disruptive from the perk-denied pop star down, but effects at the retail end have been particularly severe. Robust-seeming chains have folded, and of the 900-odd independent record shops that were in business in the UK six years ago, fewer than 300 are trading now. 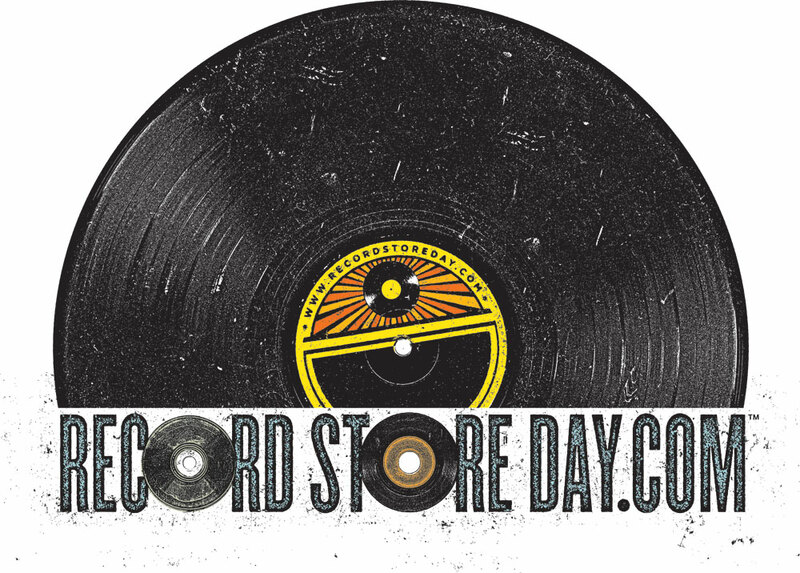 The downturn was part of the spur behind International Record Store Day (21 April), an event thought up in 2007 and officially launched the following year to say, essentially, support these places now or one-click-buy on Amazon forever more. 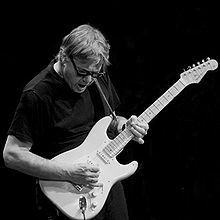 The Steve Miller Band announced their latest trek, which will take the group through 10 countries in seven months and starts May 20th at the Doheny Blues Festival in California and ends in Vienna, Austria on November 4th. 5/20 - Dana Point, Calif.
6/28 - South Bend, Ind. 8/8 - Glen Allen, Va. 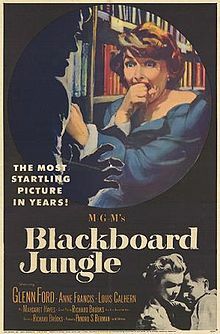 In 1955, "Blackboard Jungle," starring Glenn Ford, Anne Francis, Louis Calhern, Richard Kiley, Margaret Hayes, Sidney Portier, and Vic Morrow, opened in U.S. and Canadian movie theaters. While it is a solid drama, the movie is mostly remembered for prominently featuring Bill Haley and His Comets' recording of "Rock Around The Clock." 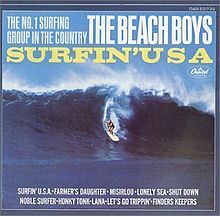 With its new soundtrack exposure, the single, which had been released a full year earlier to little fanfare, rocketed back onto the charts and straight to #1, kicking off the rock 'n' roll era in earnest. In 1958, Elvis Presley's ducktail hairstyle and famous sideburns are removed as he received the regulation short haircut from US Army barber James Peterson. The King would never go back to wearing a DA. In 1959, in New Orleans, Lloyd Price recorded "Personality." In 1960, in Nashville, Roy Orbison recorded "Only the Lonely." In 1960, Ray Charles updates Hoagy Carmichael's "Georgia On My Mind", a song that first became a #10 hit for Frankie Trumbauer in 1931. Charles' version will become his fifth Billboard Pop chart hit and his first #1 next November. In 1963, Johnny Cash records one of his biggest Pop hits, "Ring Of Fire", which will climb to #17 on the Hot 100 and #1 on the Billboard Country Chart. The song was written by June Carter and Merle Kilgore and was originally recorded by June's sister, Anita Carter. When her version failed to become a hit, Johnny added the mariachi-style horns and changed a few of the words. Four years later, Johnny and June were married. In 1965, Jeff Beck joined the Yardbirds and would later help record the hits, "Heart Full of Soul" and "Shapes of Things" before leaving in the Fall of 1966. Jimmy Page had also joined the band, but The Yardbirds would split up in 1968. Page then re-shaped the group to form The New Yardbirds, later renaming them Led Zeppelin. 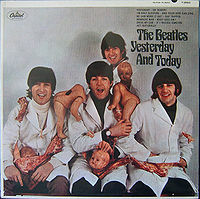 In 1966, at Bob Whitaker's photo studio in London, the Beatles posed in white coats using sides of beef, mutilated dolls and butchered meat for the cover of their "Yesterday and Today" album. After public outcry following its release, the album was quickly withdrawn in favor of one with a cover that was less provocative. In 1967, the Doors debut album, featuring "Light My Fire", enters the Billboard Hot 200 chart. The LP had been released during the first week of January and would end up leading Billboard for three weeks and Cashbox for a week. Also in 1967, although they had cracked the Top 40 on three previous occasions, The Turtles enjoyed their first and only Billboard number one hit with "Happy Together". It made #12 in the UK. In 1968, the Monkees 58th and final TV episode was broadcast, ending a two year run. The Fabricated Four would soon start to dissolve as Peter Tork left the group later that year, leaving just Mike Nesmith, Micky Dolenz and Davy Jones on the cover of the group's next album, "Instant Replay". 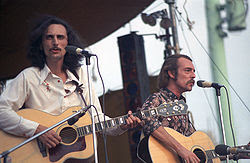 In 1971, New York radio station WNBC banned the song "One Toke Over the Line" by Brewer and Shipley because of its alleged drug references. Other stations around the country follow suit, but the record still makes it to Billboard's #10. In 1972, the trio of Gerry Beckley, Dewey Bunnell and Dan Peek, collectively known as America, reached the top spot on The Hot 100 and The Cashbox Best Sellers chart with "A Horse With No Name". The tune, which reached #3 in the UK, was originally titled "Desert Song". In 1976, Jackson Browne's wife, Phyllis Major, committed suicide. Much of the music on Browne's album, "The Pretender" displays the sense of despair at her death. The recording became the first of Browne's LP's to sell a million copies. In 1977, after a decade of having only local success in the Michigan area, 33 year old Bob Seger gets his big break. His 7th album, "Night Moves" goes Platinum on the strength of three Top Forty hits: "Night Moves", "Mainstreet" and "Rock and Roll Never Forgets". The first single by Elvis Costello, "Less Than Zero," was released in 1977. In 1978, a Philadelphia R&B / Disco group called The Trammps enter the Billboard Top 40 for the third and final time with "Disco Inferno", which will climb to #11 during its thirteen week stay. In 1983, in Pasadena, California, Motown taped an all-star concert at the Civic Auditorium to celebrate the label's 25th anniversary. Performers included Smokey Robinson, the Four Tops, the Temptations, Stevie Wonder, the Commodores, Martha Reeves, Jr. Walker and, in what turned out to be his last network television appearance, Marvin Gaye. A brief Supremes reunion and a Jackson 5 performance seemed to top off the night, but when the show was broadcast on May 16, 1983, it was Michael Jackson's solo performance of his new single "Billie Jean" and his "moonwalk" that stole the show, turning him from superstar to megastar overnight. In 1985, at the 57th annual Academy Awards, Prince wins the Best Original Song Score Oscar for "Purple Rain" and Stevie Wonder is awarded Best Original Song for "I Just Called To Say I Love You". In 1989, fire destroyed a recording studio on Chuck Berry's farm at Wentzville, Missouri. Among the items lost was a tape containing 13 unreleased Berry songs. In 2006, country music songwriter/singer and TV show host (Hee Haw) Buck Owens died of a heart attack at age 76. In 2009, Dan Seals, of the 1970s duo England Dan And John Ford Coley, died of cancer at the age of 61. After scoring several Billboard Pop chart hits, including "I'd Really Love To See You Tonight", "Nights are Forever" and "Love Is The Answer", Seals went on to have a solid career in Country music during the 1980s and early '90s.